The Ridge Deco frame is a decorative shutter frame that looks more like a picture frame, designed to fit directly onto the wall. The Ridge frame is 92mm wide, so it will overlap the recess a lot more. 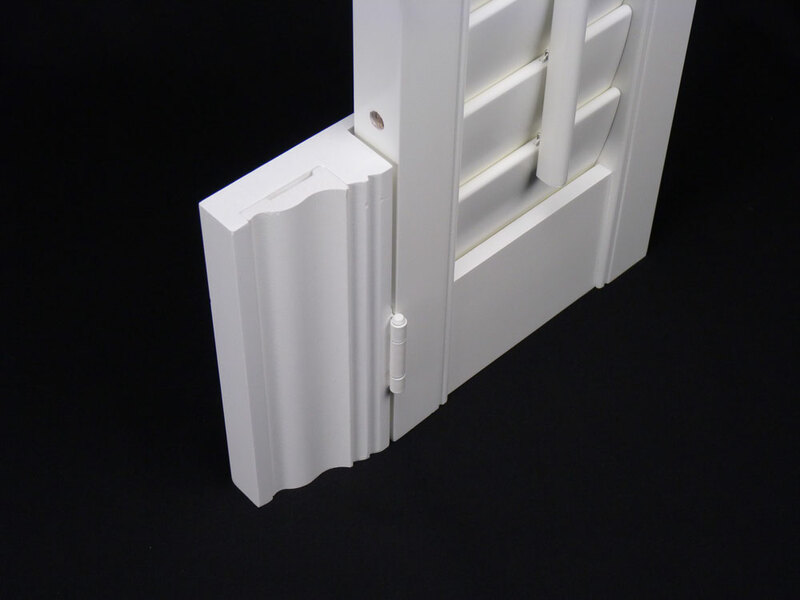 SILL PLATES – Deco frames can be ordered with bottom Sill Plates. MEASURING – The Ridge Deco frame is measured right from the very outer edge of the frame, you can allow for the frame to fully surround the recess so no part of the frame protrudes, or when allowed the default option is to leave the 15.9mm light stop overlapping the recess, this will hide any out of level doors or windows. BUILDOUTS – Build-outs on this frame is added to the 76.2mm wide section of frame as standard. FIXING – Deco frames have removable inserts running around the front of the frame so they are easily fixed directly to the surrounding wall. FITTING CLEARANCE – Unlike the other frames where you have deducted fitting clearance, with these frames you add on the amount you want the frame to overlap the recess, on the Camber frame for example if you have measured the recess size, just add 100mm to the width and 50mm to the height if you want the 15.9mm light stop to run around recess.